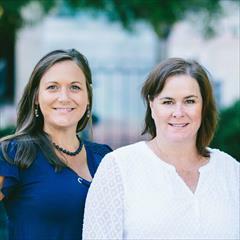 Jennifer Farley and Cain Cox have been selling real estate here in Asheville for over 12 years, and have built a very successful and driven real estate team called Asheville’s Home Team. Their real estate team prides themselves on their expertise of the current market, their focus on the selling and buying process, and how to avoid potential pitfalls along the way. They are proud to be a part of Carolina Mountain Sales, a boutique real estate company backed by our national parent company, ERA, and rated among the top agencies in both production and sales volume. As a seller, you control three things: price, condition and marketing. · Our pricing expert researches recent sales and comparable properties to find your Right Price and place in the market to ensure a sale and maximize your profits. Several factors come into play when pricing a home including active competition, recent sales, properties currently under contract, as well as an analysis of the current market trends. This initial research will play a major role in the sale of your home. · Marketing is also a key factor to success in any market. With more properties competing against your home than ever before, we, as your agents, must be sure that your specific property gets into the hands of potential buyers and builders. That is where our personal network and the impressive network of Carolina Mountain Sales can work in your benefit. We believe there is a right property for everyone, and we use our professional marketing techniques to target those buyers and get them in front of your property. We advertise both locally and nationally, with partnerships with other agents in high relocation areas such as Florida, Atlanta, and New Hampshire. We maintain a presence in the Dupont Registry, Home and Land, and the Real Estate Weekly, while also targeting our online buyers with enhanced websites, syndicated websites, YouTube videos, and advanced web-statistics. Your property will have its own website presence, branded virtual tour, and comprehensive sales package to be delivered to buyer matches and coordinating agents. For buyers, an in-depth home buying assessment will help prepare you for your home search and ultimate purchase. Our lead buyers agent, ranks among the top 10% of WNC buyer's agents. Her keen knowledge of the market place and her understanding of the lending process allows her to provide top customer service to all of her buyer-clients. You can expect top service and aggressive marketing when you work with us. We look forward to learning more about you and sharing our marketing plan for success. Cain Cox grew up in central Florida and fell in love with the mountains of Western North Carolina at the age of 10 while spending her summers at Eagle's Nest Camp in Brevard, NC. She earned her BA in Psychology from Salem College in 1992 and moved to Asheville with her husband, a third generation Ashevillian, in 1994. They have 2 daughters and love to spend their free time hiking, camping, backpacking, and enjoying the beauty of their surrounding mountains. Cain looks forward to putting her 20+ years of management and sales experience to work for you. She is dedicated, thorough, and hard working. Cain is a firm believer in giving back to the community. She regularly donates to one of the following charities or non-profits: American Red Cross, Eblen Foundation, Salvation Army, Hospice, or Eagle's Nest Foundation. Cain is an active member of her community and serves as the secretary for the Ruth Davidson Chapter of DAR (Daughters of the American Revolution). Jennifer Farley was born in a small town south of Raleigh. Initially drawn to Western North Carolina by the Liberal Arts College of UNCA, Jennifer fell in love with Asheville while she was here and settled in the area with her husband, George ,right after achieving her BS in History, Literature & Education. An avid traveler, Jennifer has been to many parts of the world, only to be reminded that her home of Asheville is the most beautiful place on Earth. As an outdoor activist, Jennifer and her husband George (along with their yellow lab, Barley Farley) love to spend their free time hiking, camping, biking, and canoeing the French Broad. Other interests include rehabbing houses, playing tennis and giving back by supporting the efforts of UNCA, Riverlink, Brother Wolf and the National Park Foundation.